25th Annual Atlanta Santa Pub Crawl is BACK, so Join 2000 people in holiday outfits in Midtown this Saturday 12.10.16! What is the Atlanta Santa Pub Crawl?? Picture Halloween colliding with Christmas to create the biggest damn Christmas party this side of the North Pole! Over the past 24 years thousands of people have joined us for what we consider to be the kick-off to the Holiday season. You know the season is about giving! We are putting on Toys for Tots US Marine Corps toy drive, please bring an Unwrapped Toy donation to registration. Please help underprivileged children have a great holiday! Check in is from 5-10pm at Front Page News (Toy Drop Off) group starts moving at 7pm! 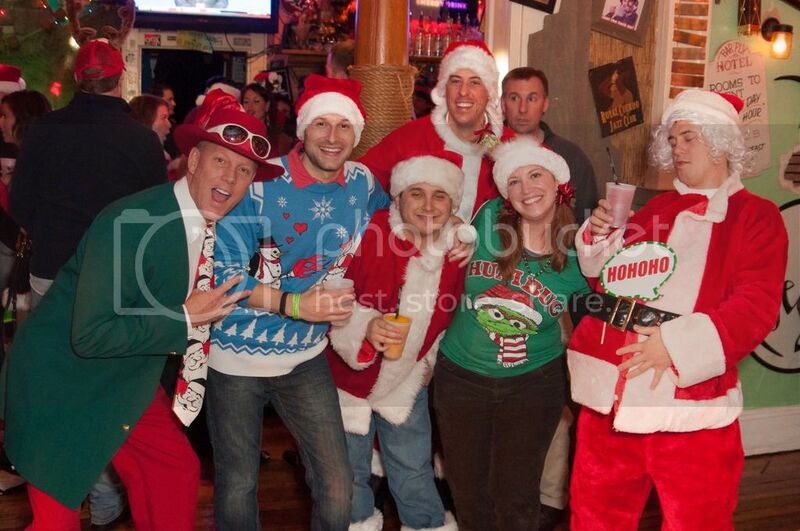 The Atlanta Santa Pub Crawl is now in its 25th year!! It was originally started by a small group of friends as a means of raising some Christmas spirit – and spreading some JOY at the same time. Now its annual tradition in ATL as we take over Midtown at Crescent Ave bars! **Just like previous years, Santa/Christmas costumes are MANDATORY! Any holiday themed, Christmas or similar type costume in red, white and green is guide what to wear. Must be 21 and up to attend the crawl. Bars and program are subject to changes.